Walk the red carpet in style at the fourth annual Toast To Wishes benefit in New York. 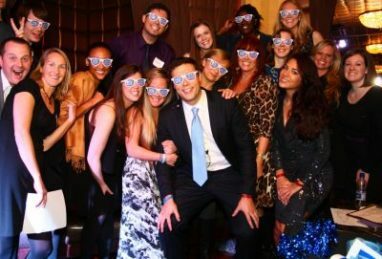 Toast To Wishes is one of the hottest social events in New York this November. The red carpet entrance unfolds Thursday, Nov. 21, beginning at 7 p.m. General admission tickets are now $200, but there are other great offers to consider today! If you choose to become a VIP guest, at $300 a ticket, you will be able to join your friends at Raven for an after party beginning at 10 p.m. There are also premium packages available from $5,000 to $20,000. All of the proceeds from the night’s event will go toward Make-A-Wish Metro New York and Western New York. With the expense of an average wish at about $7,000, donations from the night will go a long way in bringing wishes to children with critical illnesses. Make-A-Wish Metro New York and Western New York is one of the most productive chapters of Make-A-Wish. They average a wish granted every 10 hours! With their incredible success, many children with critical illnesses have received an enhanced sense of hope while living their wish. What Does Toast To Wishes Entail? Toast To Wishes is a great event for adults of all ages. The benefit will feature music by popular New York City DJs, a top shelf open bar, passed hors d’oeuvres, premium auction items, and a few surprises not to be missed. Last year’s items auctioned off included: a private suite at the Brooklyn Nets game, VIP tickets to Make-A-Wish events, Lasik surgery, beach hotel rooms and so much more! Bring your friends and enjoy a night of dancing, great music, fantastic food and fun! You can buy tickets today at the event website, or make an individual donation. Celebrate all of the wishes granted this past year, raise money for future wishes and raise awareness for all Make-A-Wish has done in 2013 by taking part in the Toast To Wishes benefit. If you like the work that Make-A-Wish does for children with critical illnesses, there are plenty of ways you can help. Make-A-Wish is constantly looking for volunteers, and will take general donations – you can even donate your frequent flyer miles. If you have an extra car in your driveway, Wheels For Wishes will take that vehicle to help Make-A-Wish grant wishes! So make a donation! Car, boat, SUV, RV, motorcycle, ATV, it doesn’t matter. We can even take your car if it isn’t running. We will pick up your vehicle at no cost to you, then provide you with your maximum tax deduction. Take advantage of this great opportunity to help Make-A-Wish today! And, join other Make-A-Wish volunteers and donors at the Toast To Wishes benefit, Thursday, Nov. 21.